The airlines have changed how they select upgrades to their first and premium economy cabins this year and will probably continue to do that in the years to come. That being said, today I was upgraded to Delta Comfort+! I travel about 1 flight (I’ll call it a regional flight 400-600miles) a month for work. Being that my home airport is Hartsfield-Jackson Atlanta International Airport and I fly Delta 95% of the time, I rarely get upgraded because it seems like 40% of each flight has status. All that being said, I thought I scored big as my see was 11E, the first row after first class. I ended up being fortunate to have scored E,the middle seat! Next to me seems to be a semi-pro lacrosse player and businessman with embroidered shirt sleeve with his initials. I understand the one being on the aisle wanting to lean in as the plane is being boarded but for the gentleman on the window, not cool. 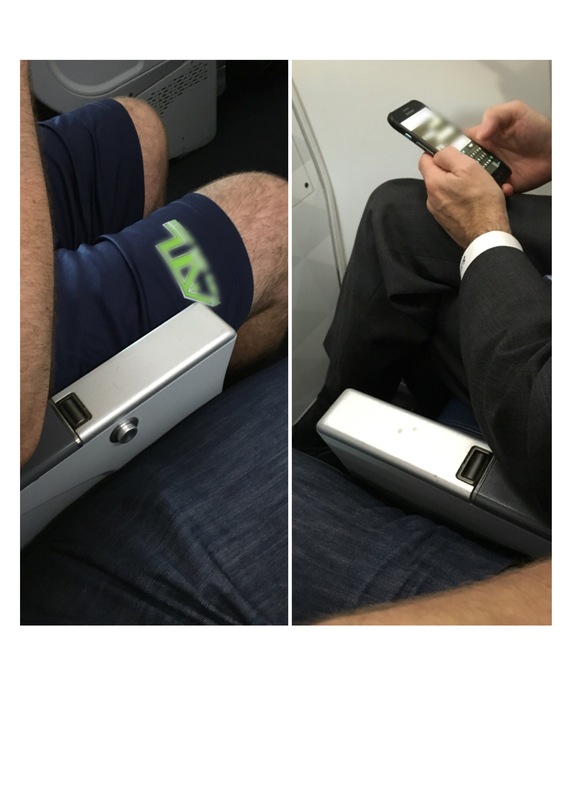 So what do you do in this situation, you have to conquer the armrest of course. Being the lacrosse player was in athletic attire and bigger than me, I chose my battle with the businessman. You can either bluntly overtake it, wait for the right time when he adjust the air knobs or slowly throughout the flight inch your way. Of course I’m sure you have other tactics and would love to hear them for future battles. Today I lucked out that businessman reached to buckle his seatbelt and I made my move then. Success! I have conquered at least 1 of the armrest back.